Beyond Carlton, what has been achieved? February 23rd , Wednesday, will mark one year since the Carlton Towers fire tragedy, a tragedy which changed the lives of 9 families forever and where over 60 were injured, some of whom are still recovering. 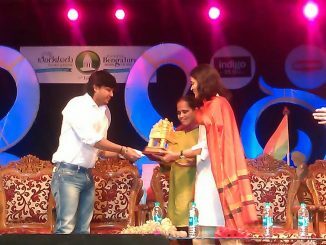 It was soon after the tragedy that ‘Beyond Carlton’, a people’s initiative for fire safety was formed in Bangalore. The Group includes family members of those who passed away, survivors of the tragedy and concerned citizens of Bangalore, who have come together to honour the memory of the lives lost in this avoidable tragedy, to ensure that justice is served to the perpetrators of the Carlton Towers fire tragedy and to bring about greater awareness about the need for fire audits and safety at private and public places. We share with you some highlights of what Beyond Carlton, a registered not for profit trust, has achieved in the last year. Meetings were held with the Chief Minister of Karnataka; the Police Commissioner of Bangalore; the IGP & Additional Director General and the Director of the Karnataka State Fire & Emergency Services (KSFES). The meetings were done to take forward the demands of Beyond Carlton for a fire safe Bangalore and to ensure that the compensation announced by the Chief Minister was paid to family members of those who passed away and to the injured. As a result of the meeting with the Chief Minister, compensation was paid to the family members of those who passed away in the tragedy on May 5, 2010 and Beyond Carlton would like to thank Namma Bengaluru Foundation for their intervention in ensuring this amount was paid out, and to the media for keeping the issue alive. However nothing more has resulted from the meetings. Little attention has been paid to the Notification sent out by the Police Commissioner soon after the Carlton Towers fire tragedy. Compensation promised to the injured is still to be paid. We seek your support in putting pressure on the powers that to be for compensation to the injured to be paid out to ease the difficulties faced in particular by those who continue be under treatment for injuries suffered during the tragedy. Health Check Up for Fire Services Staff and Families: Beyond Carlton, in collaboration with Manipal Hospital, is organizing a free health check up for fire service staff and their families from 10 am onwards on February 23rd at the Fire and Emergency Services Academy, Bannerghatta Road. The event is being sponsored by Manipal Hospital and Underwriters Laboratories. Memorial Service: A private memorial services for family members of those who passed away and the injured will be held at Manipal Hospital Auditorium on the 23rd. It was Manipal Hospital and their staff who rose to the occasion on the 23rd and several days thereafter, gathering all their best resources to provide medical care and trauma counseling to all those impacted by the tragedy. It is only befitting therefore that a memorial service be held at Manipal Hospital where the injured will also have the opportunity to thank the Manipal Hospital staff for the care and attention they received through their recovery period. This is a private memorial service and entry is by invitation only. Firemen of the Year Award: Beyond Carlton has decided to commemorate February 23rd by instituting a Firemen of the Year Award to felicitate firemen who have, during the year, gone beyond the call of duty in securing the safety of those involved in a fire incident. This year, 2011, it has been decided to give the award to three firemen who played a great role in the rescue efforts during the Carlton Towers fire tragedy. The award will be given to three firemen just after the Memorial Service at Manipal Hospital. One Minute Silence: Beyond Carlton is requesting the public of Bangalore to maintain a minute’s silence at 4 pm on the 23rd to honour the memory of those who passed away in the fire tragedy. This initiative is being supported by Radio Indigo who are providing free air time for the announcements. As you are aware, a Sessions Case bearing S.C. No. 1164/2010 has been initiated by the State of Karnataka. A charge sheet has been filed in the matter and the case has been set down for trial by the Additional Principal City Civil and Sessions Judge, Fast Track Court-XV. Beyond Carlton hopes that justice will be delivered and those responsible for the horrific tragedy will be brought to book. Meanwhile, Beyond Carlton has also filed a PIL in the High Court of Karnataka (see separate attachment). The PIL seeks the High Court’s intervention to safeguard the lives of citizens through ensuring strict compliance with fire safety laws, rules and regulations amongst the public at large and effective implementation of the same through the State machinery and is not an adversarial proceeding against the Government. Beyond Carlton recognises that the Carlton Towers tragedy is symptomatic of several buildings that violate fire safety requirements and has thus filed the PIL to prevent similar tragedies and safeguard the lives of citizens. Beyond Carlton has been supported in the filing of the PIL by Shri Rajeev Chandrasekhar (Member of Parliament, Rajya Sabha) and the Namma Bengaluru Foundation who have been associated with the cause of Beyond Carlton since its inception in March, 2010 and have provided emotional, legal and other support and counsel to those impacted by the Carlton Towers fire tragedy. Beyond Carlton hopes that the High Court will intervene to ensure compliance by various state departments in safeguarding the lives of citizens much like has been done in Delhi. Tremendous guidance has also been received from Neelam Krishnamoorthy and The Association for the Victims of the Uphaar Tragedy who support and are in solidarity with Beyond Carlton. As part of its mission to create greater awareness about fire safety, Beyond Carlton has organized fire safety quizzes at Forum Mall Koramangala and Mantri Mall Malleswaram besides a musical tribute at Value Mall Whitefied. A special campaign on fire safety was also developed around Diwali. In addition fire safety quizzes and discussions were held at Thomson Reuters and Sasken Communication offices and Cathedral High School in Bangalore. Beyond Carlton has been supported in its education initiatives by Radio Indigo who have provided free air time to generate awareness about fire safety. Ogilvy has supported Beyond Carlton in the design and development of advertising and communication material. Beyond Carlton has 1200 members on Facebook who are not just kept updated on activities at Beyond Carlton, but also provided educational information and resources. 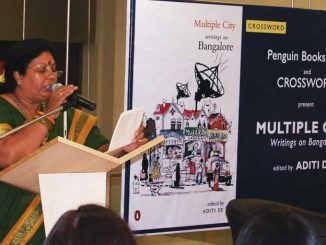 From Bengaluru to Bangalore and back to Bengaluru – Multiple City edited by Aditi De traces the morphing of our fascinating city.